Prior to Emancipation, most slaves had no choice but to worship with their owners. 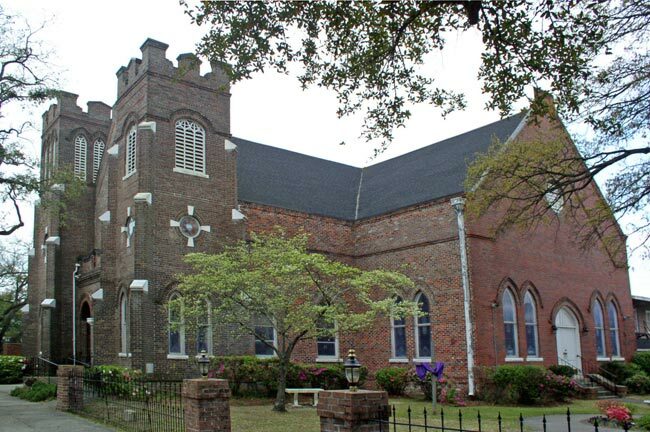 Once free to attend the church of their choice, many former slaves established new congregations. The years following the Civil War saw a rise in the number of African Methodist Episcipal, or AME, churches in the South. The denomination was officially founded in Philadelphia in 1816 by the Reverend Richard Allen, and the AME churches in the North were primarily attended by free blacks. Once the denomination spread to the South, churches such as Bethel AME in Georgetown were organized. 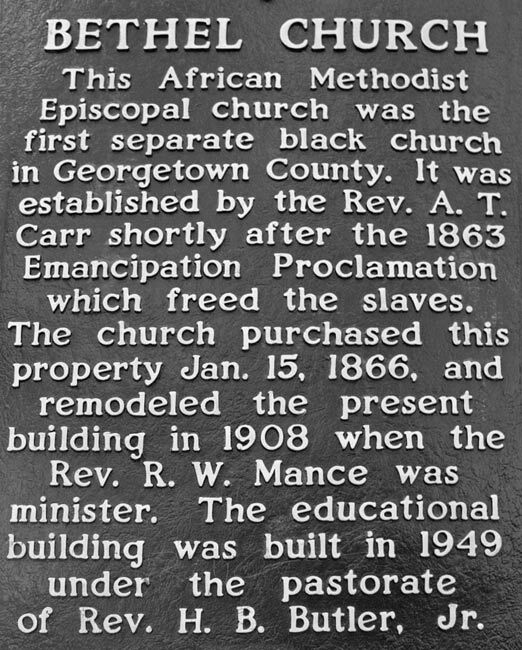 Bethel AME was established in 1863 by the Reverend A.T. Carr. It was formally organized in the spring of 1865, just the Civil War’s end. By January 15, 1866, the congregation had purchased this lot and built a house of worship by 1882. 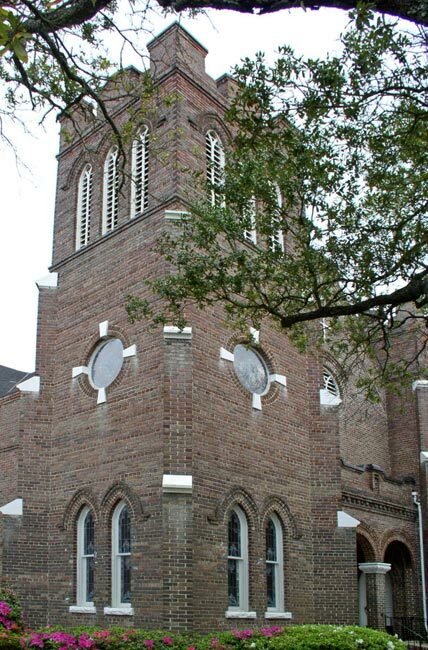 The church was remodeled into its current brick form in 1908 under the guidance of the Reverend R.W. Mance. Bethe AME was the first black church established in Georgetown County independently of a plantation. It remains a viable part of the Georgetown community and welcomes all people.